Probably everyone knows someone who has been affected by account hacking, if not themselves. This morning I received an email from NCSoft in which they focus on a couple of (well-known) tips to ensure account security and I found it a great opportunity to talk more on why it’s important to keep your accounts safe. While it may seem a bit obsolete to always keep hammering on keeping your account secure, it still happens daily that accounts get hacked and people get affected by the results of this. These tips are easily forgotten as some people might shove them away and say ‘That won’t happen to me!’, ‘My account is secure!’ or even ‘My password is only known by me, how can they find out?’. It’s easy to say these things, but once you get hacked, you realise that it’s important to actually keep up your guard, as it might only just happen to you tomorrow – of course that is just a possibility, but you should always keep it in mind. Let’s discuss this some further after the break. I’m sure most of you have heard all of this before, and you’re well aware with the mantra of changing your password on a frequent basis, never share your passwords with others and always use a different password for all of your online accounts. Even if these tips are wide-spread, it’s still important to take note of them, because they definitely make sense. Keeping the same password on your accounts for a longer period makes it all the more riskier and changing it up every now and then keeps it fresh which is one way to prevent hackers from using it. Hackers don’t always hack your account and then immediately use it, they might hack it, and strike on the best opportunity, or whenever they think is suited best. By changing it up, you can prevent these hackers from ever doing any harm to your accounts. Sharing your passwords might seem handy, and when you share it, you most likely trust the person you share the password with as well. Keep in mind though that when you give your passwords to others, you will loose part of the control you previously had on your account, they might do things which will then rebound onto you, which could result in a ban. It’s not only a ban that might happen, many friendships are broken because you trusted someone that then took advantage of this trust to get specific items or possessions for themselves. It’s always best to keep control over your own account as this will ensure that your account will stay safe and it helps keeping your possessions your own. If there’s any year that we were more aware of hacked accounts in the online virtual world that’s part of our daily lives, it’s definitely 2011. 2011 then, shows us why it’s important to have different passwords on different accounts, because just a single hack on one of your accounts, could mean a threat for the others. If you’ve only got one and the same password on all of your accounts, you should now stop reading and change them, as having one passwords for all of your accounts will make it much, much more easier for hackers to obtain acces to them. For example, if a hacker hacks your forum account on say, Guild Wars Guru, then look at the posts you made in the trade forums which might include your IGN, it’s only a matter of time before he also has acces to your actual Guild Wars account. It’s easy as that, and you should definitely want to think about which information you post where as well, as any crucial account information can be used to hack another account. Even your online accounts should be safe - prevent account theft! For Guild Wars, ArenaNet opted to require you to enter one of your character names, in order to verify the ownership of your account. This definitely did help reducing the number of people getting hacked, but as there’s quite a large number of people identifying themselves with one of their ingame characters on fanforums as well, it’s still not an entirely safe situation. The best way to prevent your account being hacked this way is to make a clear distinction between your ingame characters’ names and the usernames you use to represent yourself in the rest of the community, outside of the game. Recently ArenaNet opened up an official Guild Wars support forum to be able to respond more directly to your questions on technical matters such as account security. Here, they also announced that it’s now possible for them to do a roll-back at times when your account has been hacked, making the game a whole lot more secure. This last feature makes it possible to get back your items to ‘periodic snapshots’ of your account, which means that it is indeed possible to roll your account back, but only to set timeframes, rather than the moment just before you got hacked. All of these features make it all the more clear that ArenaNet, as well as NCSoft, tries their best to help where-ever they can. 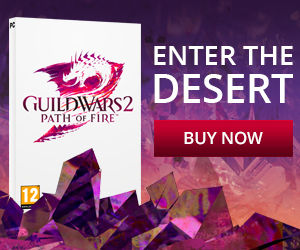 Now, I’m not sure how Guild Wars 2 will tackle them, as ArenaNet has not really announced anything on this themselves, we know from our discovery during the latest GamesCom that ArenaNet and NCSoft are definitely looking into additional account security messures. The image below shows the booth of Vasco, a specialist account security provider, which includes both the logo’s of NCSoft and ArenaNet, implying that we might eventually see an authenticator or the likes being used to login to your Guild Wars 2 account. Of course, if this would happen, it would most likely be an optional choice, but definitely an improvement over the Guild Wars system. Select a strong password. A strong password is at least six-to-eight characters long with a combination of uppercase and lowercase letters and at least one number. Be careful on shared and unfamiliar computers. You never know what might be on them, or worse, you could forget to log out of your game account while using one. Don’t buy from real-money traders or “power-leveling” services. Using real-world money to buy in-game currency or to pay to have your character leveled has a huge impact on the games you love. They sell you goods stolen from legitimate players and it ends up putting your account at significant risk. 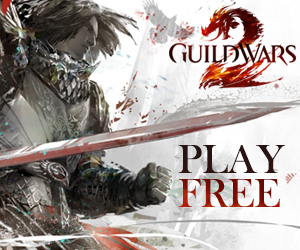 For everything related to your Guild Wars account, it’s also a good idea to check the official Guild Wars support forums for additional tips. What is your stance on account security? Is there any specific messure you would like ArenaNet to take? How would you like to see an authenticator being implemented? Would you want to have it as an app on your smartphone? Or would you prefer having a physical authenticator being delived alongside the game?